Dr Tauseef Salma, the new vice president, Marketing & Technology, at Flowserve (Photo: Business Wire). Dr Tauseef Salma will join Flowserve Corp on 11 February 2019 as vice president, Marketing & Technology. Dr Salma comes to Flowserve from Baker Hughes, a GE Company, where she has served as vice president, Oilfield and Industrial Chemicals, since 2017, and held various roles of increasing responsibility, including vice president, Enterprise Technology. Bringing more than 21 years of oilfield services experience to Flowserve, Dr Salma holds four US patents, a doctorate in Chemical Engineering from Rice University, and a bachelor’s degree in Chemical Engineering from the University of Engineering and Technology in Lahore, Pakistan. 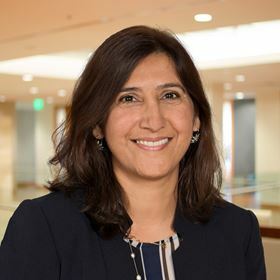 “With Tauseef’s extensive technology background and long-term experience in industries we serve, I am very confident that she is the right person to drive our technology development as well as the strategy around our market-led approach to innovation in our products, services and customer experience,” said Scott Rowe, Flowserve president and CEO. Lanesha Minnix is joining Flowserve Corp next month as senior vice president and chief legal officer.